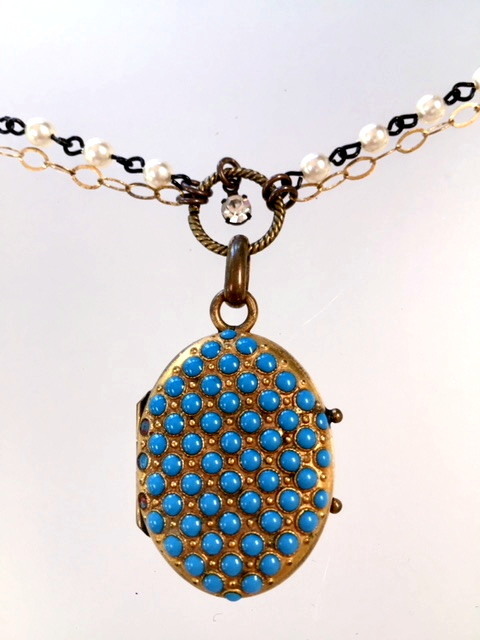 A unique combination of an antique French Locket suspended on a double Strand of Pearls and delicate link chain. 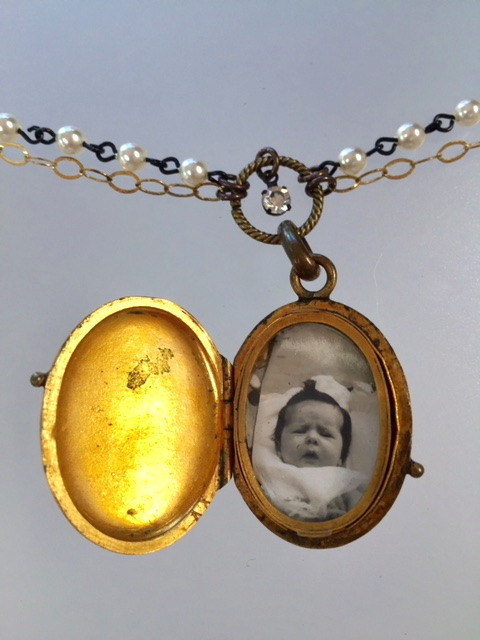 The piece has an intriguing Turquoise stone embellished front and maintains the original Baby photo, could easily be replaced with your cherished loved ones. 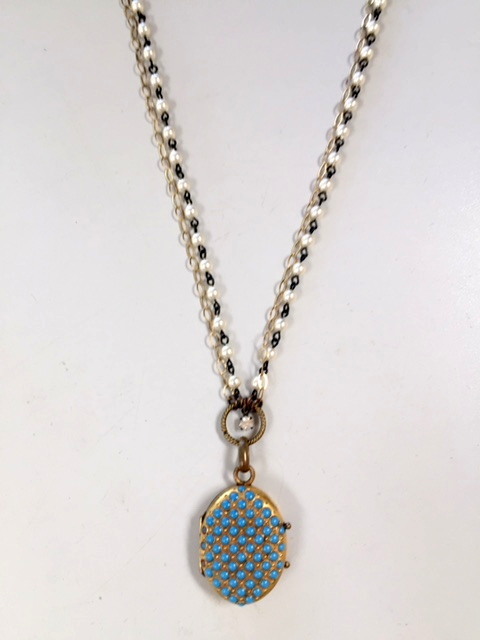 Necklace is 30" long, locket is 1.25" by 1". If you have a love of the Victorian period , here is a piece you can wear with pleasure and pride!